Leo would not accept being unable to board Terra Venture and join the quest for a new world. This young adventurer snuck aboard the station, determined to see what was out there. He got more than he bargained for when he encountered Maya while on a training mission. After Mike and Kendrix walked through the portal to Mirinoi, Leo went against his brother's wishes and followed them in. As they battled Furio, Mike fell into a chasm, and passed the Red Quasar Saber to Leo as he tried to save him. 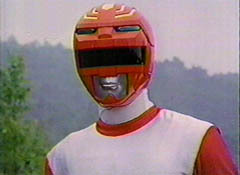 In his brother's memory, Leo tries to be the best Red Ranger he can be, a warrior that would make his brother proud. 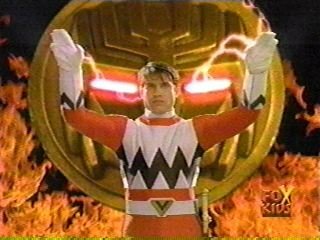 Leo uses the power of fire as the Red Ranger, and he commands the Lion Galactazord. Leo currently resides on Mirinoi along with the rest of Terra Venture's inhabitants. He gave up his powers when he placed his Quasar Saber back into the stone to restore Maya's tribe. 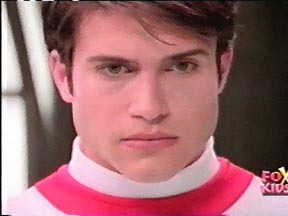 When Triskull and his ghouls invaded Mirinoi, Leo took on the mantle of Red Ranger once more, and followed him to Earth, where he helped the Lightspeed Rangers defeat him and Trakeena. When Machine Empire forces unearthed Serpentera to destroy Earth, Leo teamed up with 9 other Red Rangers and travelled to the moon to stop them.